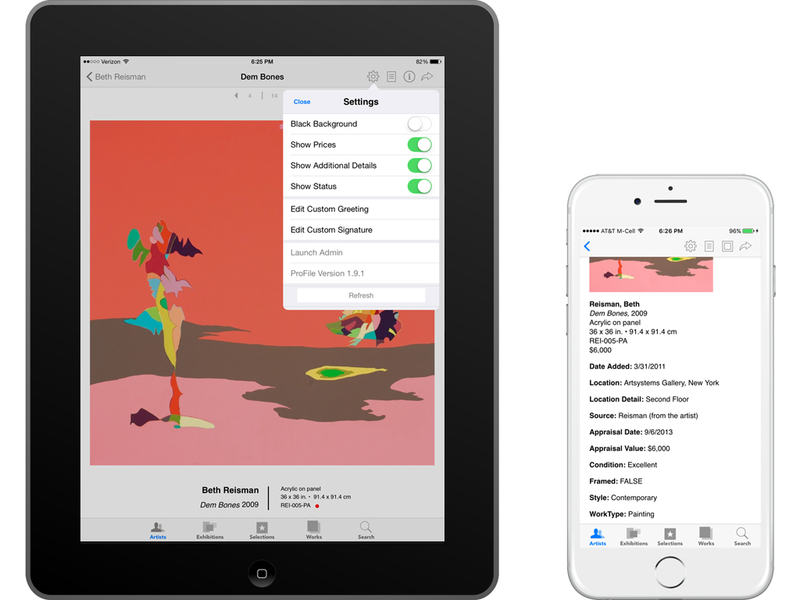 Add all your artwork to your iPad and iPhone in minutes — then take it with you. 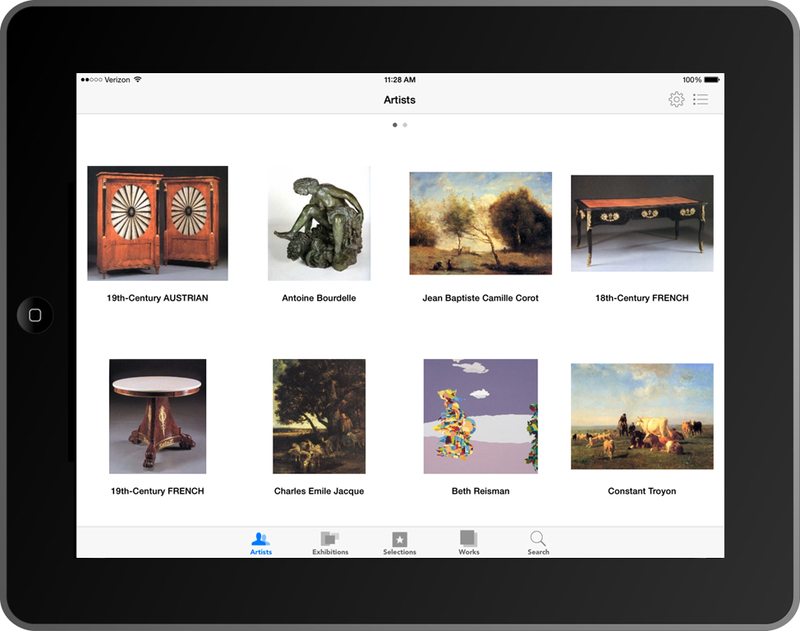 ProFile is an elegant art gallery app and art collection app — a portable presentation tool giving unprecedented direct access to your artwork images and details 24/7 from anywhere, online or offline. Import works in groups, or add one at a time. Exclusive features include limiting access to sensitive artwork details, advanced search, ability to sync works with a website, greater control via bi-level content staging, and more. Artsystems software not required. ProFile can display thousands of works, lightning fast, in an elegant format. View by Artist, Exhibition, Selection, Search results — or all Works together, sorted by artist. View in a grid or a list, as full-image thumbnails with or without caption, or individually with captions, additional images, full screen with zoom, complete with infosheet, plus a separate optionally password-protected private detail page with up to 12 user-defined fields of work information such as 'cost' or 'source'. View all works by an artist, or by multiple artists at once, in a list with images or as a thumbnail grid view. View works individually, swiping from detail view with caption to next work's detail view and full-screen view to the next. Tap icon to view artist biography or other information in app text, along with a CV, artist press, or other information in PDF format. The ProFile content management system (CMS) enables works to be uploaded together as Exhibitions, Selections, and as miscellaneous groups. A ProFile Selection is a compilation of works to be displayed together for whatever purpose. 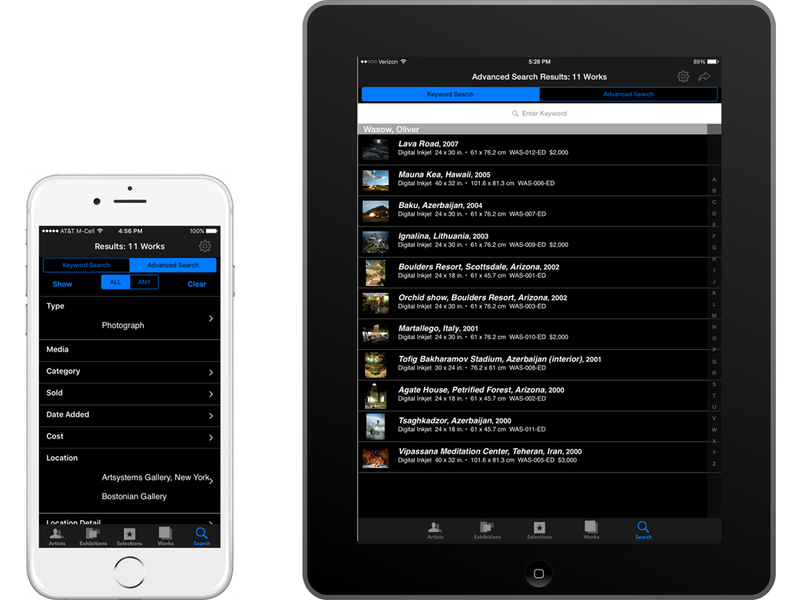 It could be an offer, works for review, works in a theme, perhaps, or in a series.The app displays feature images for both Exhibitions and Selections in a grid and a list view. Tap on one and view all Exhibition/Selection works together. 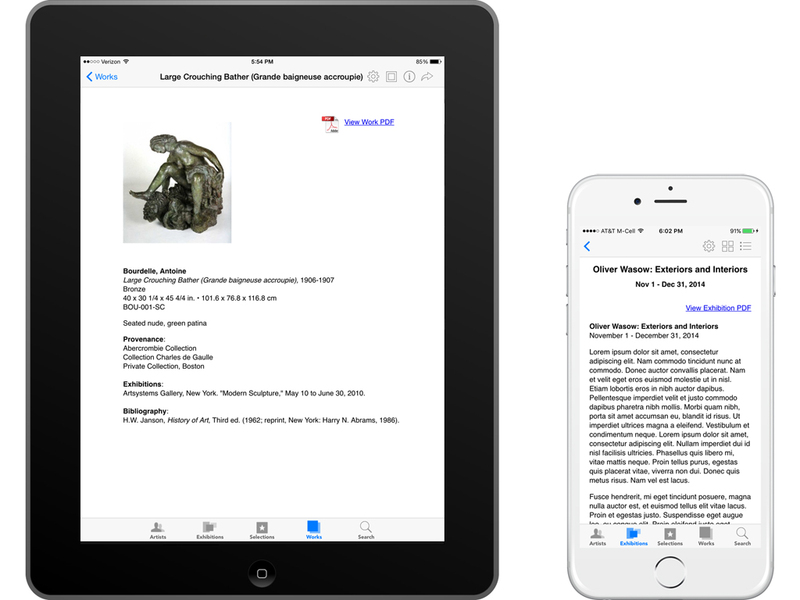 Each Exhibition can include related information and/or a press release in both app text and a PDF document. Search empowers ProFile to instantly locate individual works or filter lists of works based on keywords or combinations of fields such as: Artist, Title, Year, Media, Type, Categories, Location, Source, and any of the 12 user-assigned Auxiliary Fields. Users can select multiple criteria for each field search (such as multiple Locations, work Types, and/or Artists). Users can also select multiple records from search results for emailing. Artwork detail security features are applied to search criteria and results. ProFile can include a wealth of documentary information for each record in text and PDF format. Besides basic captions, each work has a page for an infosheet (if added) and/or other information. Artist records can include a biography, CV, and press, as configured. Exhibition and Selection records also may have associated documents only an icon tap away. Emails can send Work and Artist documents automatically along with works, if desired. 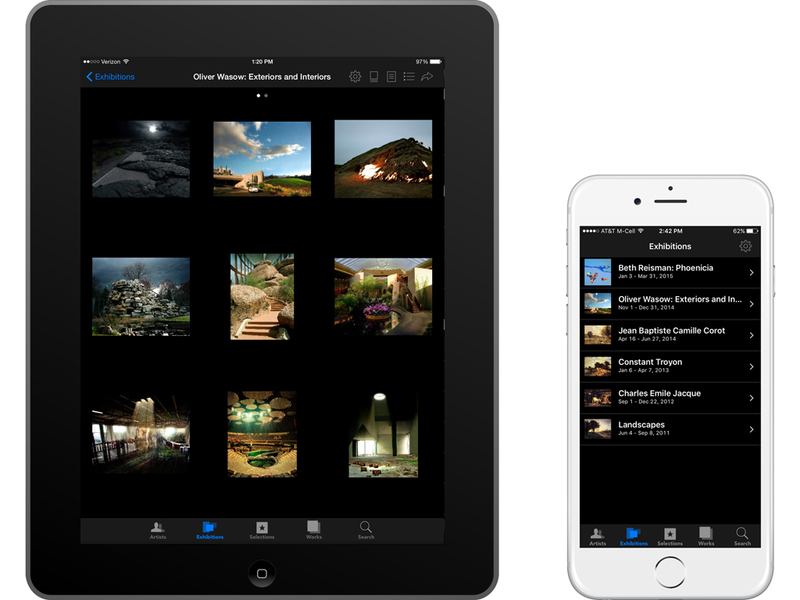 ProFile allows multiple options for accessing and viewing content — either portrait or landscape view, with black or white backgrounds, with groups of works in list or grid view, with or without captions. 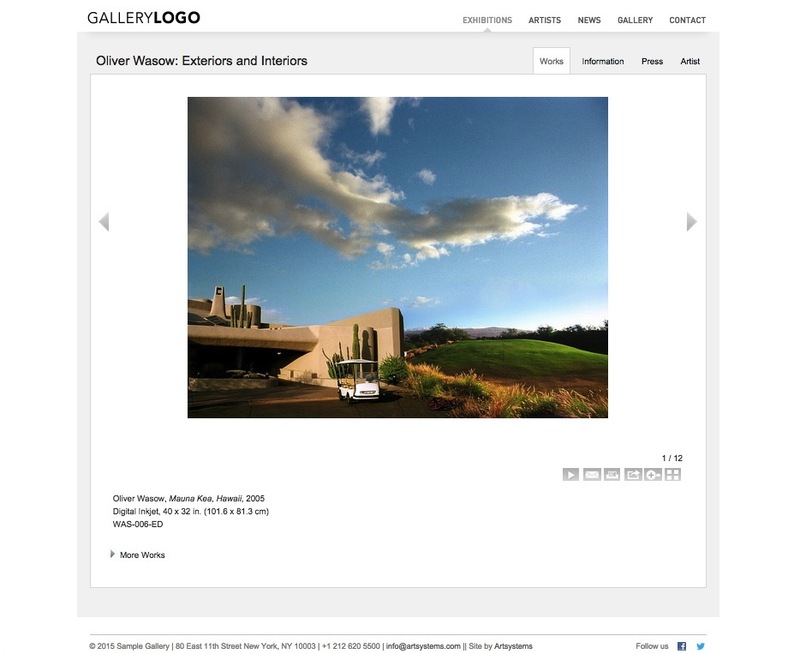 Individual works are shown with captions or full screen with zoom. Choose to display sales status, price, a detail page with up to 12 user-defined work fields, and whether to lock any options with password. Emailing works offers multiple options for including additional content. ProFile users may select multiple works to email as an Offer or for a more informal purpose. 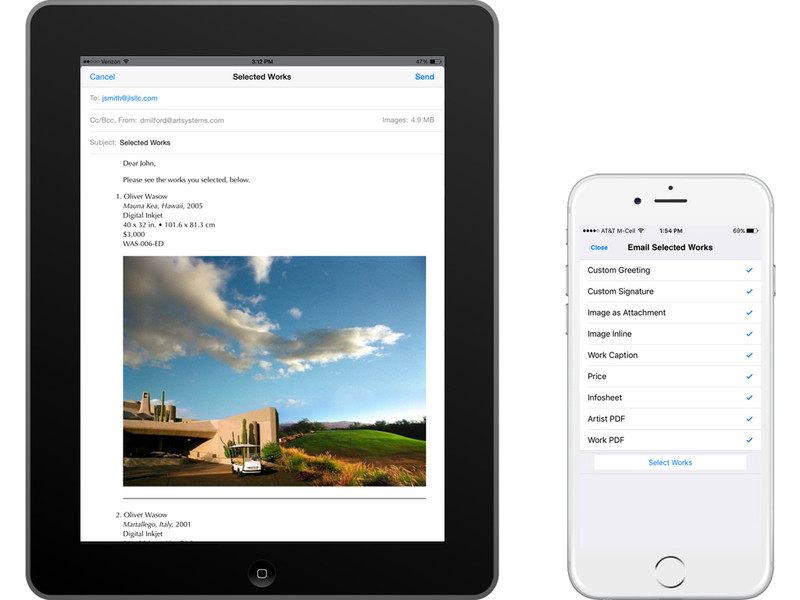 In ProFile's email settings, one may choose to include a configurable automatic Custom Greeting and Custom Signature, choose to include images inline and/or as high-resolution attachments — including secondary images, the work caption, price, work infosheet, and PDFs from the Artist and Work record. Emails utilize the Mail app and can be edited. 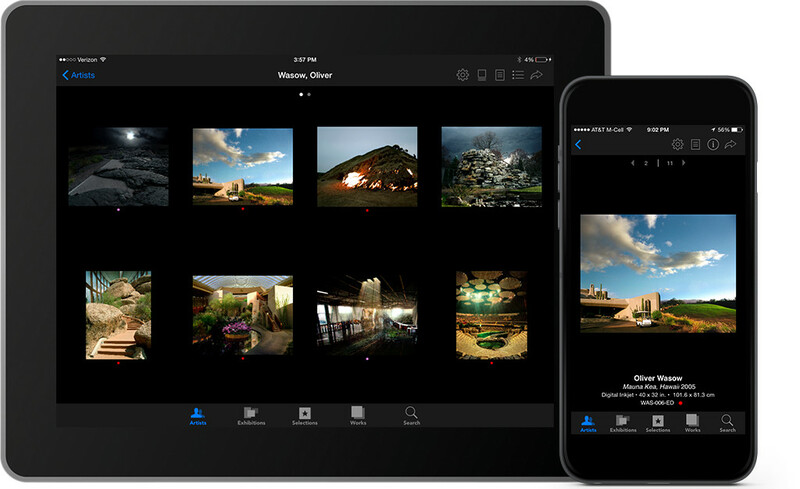 The Artsystems online content management system (CMS) is shared both by the ProFile iPad/iPhone app and can sync with Artsystems Pro Websites. 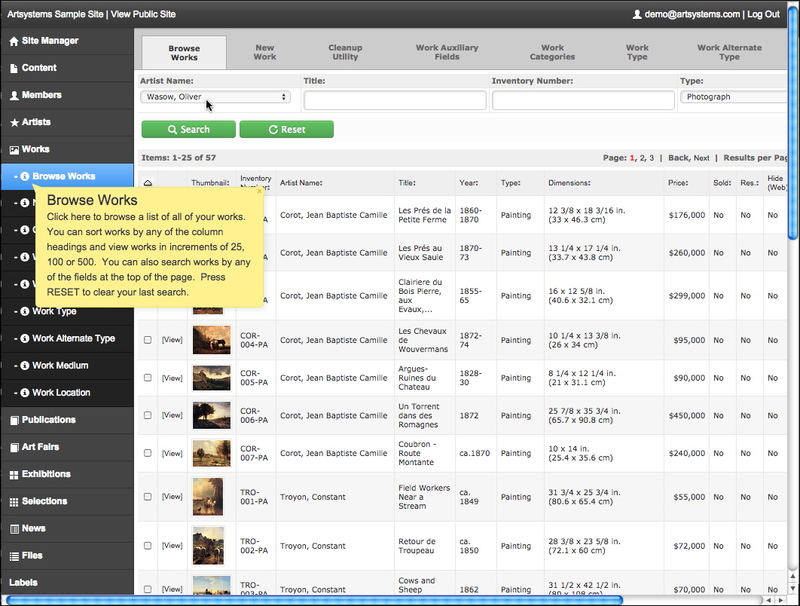 This unified interface allows works and exhibitions to be posted just one time for both venues simultaneously. Individual works, groups, or exhibitions can be marked to display or not display on one venue, the other, or both. The CMS (online content management system) for the ProFile app allows for bulk uploading of work details and images in minutes, including entire exhibitions. 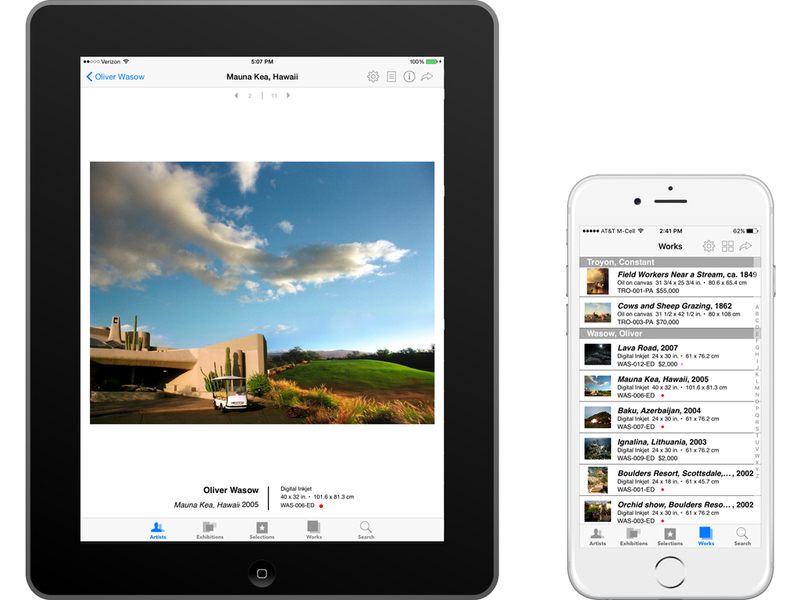 The CMS can add and manage other content in all app sections easily, including supporting PDFs and links. It includes both 'staging' and 'production' levels, providing a review of all changes in advance of publishing. The CMS can be shared with a website, enabling users to update both venues simultaneously.